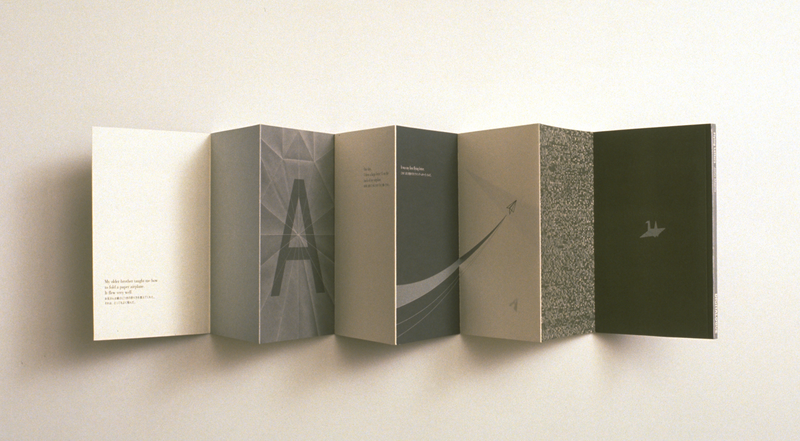 Flying Letters (1995) animated type and 3c book. If you’d like to get my monthly #DesignInTech Briefing sign up here to get it in your inbox first. * You can either be a jill of all design-y trades or a master of just one. Nowadays you’re better off being a jill because we don’t know which trades will remain. * Fatimah Kabba was spot on with her 2017 point that writing is the most important skill for a designer — especially one who is crafting an experience. * Knowing all the things one needs to know to work in the tech industry can all be learned with a supporting group around you. Try out the WordPress community. * Accessibility features are more newsworthy these days, and are being heralded as a sign of innovation and good design. Good design for all is now. * All the chaos wrought over GDPR in Europe amidst the region’s pre-existing disdain for the American tech industry is healthy. The US is now catching up. * I see China everywhere — whether it’s in AI, or in mobile payments, or just unique UX. While we’re quarreling in the US/EU, how’s the Chinese internet doing? * The Midori Travelers Notebook from Japan has a luxurious and nostalgic feel. * Moo cards options keep getting better. As online printers go, they totally rock. * Although creative work is upheld as the one kind of human activity that can never be replaced by machine intelligence, we can’t forget that there’s a lot of shallow creativity out there that’s easy pickings. It’s the deeper stuff that we’re curiously good at — so we need to spend more of our time and attention there. At least that’s what I’m trying to do these days.